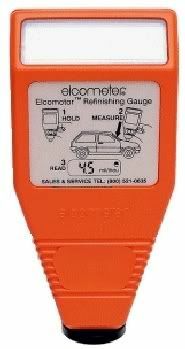 The Elcometer has been specifically designed to meet the requirements of today's automotive market. The Elcometer is available in two options. The ferrous only instrument ideal for measuring steel car body panels. 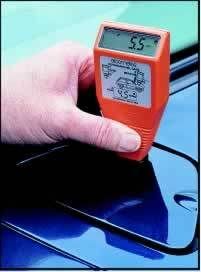 The Dual FNF instrument enables the User to take measurements on both steel and aluminium car body panels using one gauge. 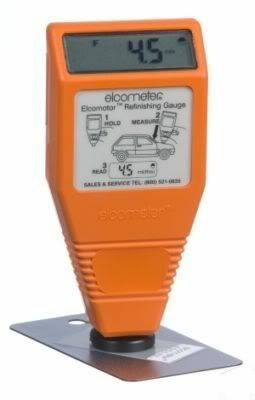 Pre-calibrated on steel and aluminium car body panels, the Elcometer is very easy-to-use. Checkpieces are supplied with each instrument to verify its performance. * Designed specifically to meet the requirements of the automotive industry. * Pre-calibrated on automotive steel and aluminium. * Bigfoot™ for stable, repeatable readings. * Checkpiece included to verify performance - FNF gauge comes complete with ferrous and non-ferrous checkpieces.